Our experimental Condensed Matter Physics groups study emergent phenomena in complex systems with sizes ranging from the atomic to the macroscopic. Condensed Matter Physics addresses cooperative phenomena involving large numbers of interacting particles. As well studying the properties of ordered (crystalline) and disordered (amorphous) solids, our work extends its scope to liquids, surfaces, clusters, and biological materials and organisms. Our activities are multidisciplinary in character. As well as collaborations between Groups, we work with other physicists, chemists, mathematicians, engineers, and biologists here at Warwick and throughout the world. Experimental Condensed Matter Physics research here in the Physics Department spans many different topics. The activities of each Group are described below. Please follow the links below to the individual academic and Group web pages to learn more. Diamond has been valued for its appearance and mechanical properties for over 2000 years. Today, diamond can be synthesised with exceptional control of the purity, perfection and doping. We focus on identifying, engineering and exploiting the defects which control the extreme properties and delivering diamond enabled solutions to problems as diverse as water quality monitoring and quantum computing. Electron Paramagnetic Resonance (EPR) is a spectroscopic method used to study materials and molecules with unpaired electrons. EPR crosses several disciplines including: chemistry, physics, biology, and materials science. We have spectrometers operating between 9 & 400 GHz, and can exploit all the modern EPR techniques. Dynamic Nuclear Polarisation (DNP) is a hybrid EPR/NMR technique exploiting the exceptional sensitivity of the EPR to extend the reach of NMR. We have DNP systems at 3.3, 7, and 14 T.
Our work focusses on the fundamental physics of ferroelectric crystals, including lead-free piezoelectrics, non-linear optical crystals with tailored periodic domains, and novel multiferroic fluorides. We work to understand the physical properties and phase transitions from the basis of structure, combining synchrotron and lab-based high-resolution X-ray diffraction, diffuse scattering and imaging, dielectric and optical measurements, neutron diffraction and NMR. Alexe Our research addresses functional oxide materials for future information technology and energy harvesting. We pay a particular effort in understanding the fundamental physics of multiferroic tunnel junctions, abnormal photovoltaic effect and topological entities, such as domain walls and vortices, in perovskite oxides. We also explore interface coupling between dissimilar electronic materials with ferroelectric, magnetic, superconducting, topological, and other functional properties to create novel multifunctional structures. Magnetic materials of fundamental interest and with technological applications are studied using x-ray and neutron scattering at large scale facilities. We make particular use of magnetic Compton scattering, the inelastic scattering of x-rays from spin polarised electrons, is used to measure spin densities and determine spin moments. We also study the phase behaviour of fluids confined in nanometre sized pores. Our work examines the nanoscale structure of advanced materials and its effect on their functional properties, with emphasis on organic and inorganic semiconductors, functional ceramics, molecular electronic systems, nanocarbon and nanotubes. We also perform electron, optical, and scanned probe microscopy technique development, including aberration corrected TEM. The Group maintains the UK's only academic facility for Group IV semiconductor epitaxy to make silicon-based electronic, photonic, spintronic and photovoltaic devices. We are developing methods for electronic refrigeration in the mK regime. We also perform comprehensive structural and electronic characterisation of materials and devices, and the grow SiC materials for power electronics. Kanstsler, Polin (Theory: Alexander, Ball, Turner). This lab is a new activity within the Physics Department. It consists of two groups with a joint wetlab and microscopy laboratory. We have strong links with the Condensed Matter Theory Group in Physics, as well as emerging connections with other Departments and DTCs within the University (e.g. Life Sciences, Engineering, Systems Biology) and beyond. The Centre for Magnetic Resonance, in Millburn House, is unrivalled within the UK. There are 13 superconducting magnets for performing NMR, ranging from 850 MHz (proton Larmor frequency) to 100 MHz for solid-state NMR, 700 and 600 MHz solution-state NMR. Research interests encompass multinuclear solid-state NMR methodology and application to materials science, chemistry, life sciences and physics. Crystal surfaces are studied by electron, photon and ion scattering techniques (XPS, UPS, HREELS, CAICISS, LEED, etc. ), supported by total energy calculations. We also carry out the epitaxial growth of III-V semiconductors, including nitrides, antimonides, and magnetic semiconductors. The interdisciplinary nature of this field covers both physical and chemical aspects of the topic as well as impinging on materials science. 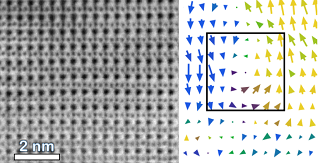 We study highly correlated electron systems including magnetic and exotic superconductors, intermetallic heavy fermions, topological insulators, and frustrated magnets, grown as single crystals and studied by a range of techniques. We make extensive use of neutron and muon sources worldwide, high magnetic field facilities, as well as in-house magnetometry, transport and ESR measurements. The ultrafast interaction of light with matter is used to probe fundamental excitations of novel functional materials, incl. multiferroics and semiconductor nanomaterials. Terahertz time-domain spectroscopy and time-resolved pump-probe spectroscopies enable the dynamics of quasiparticles (electrons, excitons, plasmons, magnons, phonons) to be tracked with sub-picosecond resolution. Non-contact ultrasound methods developed for material evaluation and testing - crystallographic texture determination in metals through to the high speed inspection of rail track. Fundamental studies of elastic constants in highly correlated materials frustrated and single molecule magnets. The Diamond Science and Technology Centre for Doctoral Training has diamond based research at the core of all activities. The CDT involves a consortium of eight UK universities and over thirty companies, keen to exploit the vast potential of diamond. For a September 2018 start we will be able to fund twelve, new, four year studentships, leading to a Ph.D. in Physics, Chemistry, Engineering, Materials or Life Sciences. This fundamental research area has enormous economic & societal impact. Our approach is interdisciplinary and highly collaborative. Thinking about studying for a Ph.D. or M.Sc. in Experimental Condensed Matter Physics? You are encouraged to contact us directly or follow the link below. Please look for postdoctoral and other career vacancies via jobs.ac.uk or our individual group pages. High Field Magnet Laboratory, Radbout University, Nijmegen. Laboratoire National des Champs Magnetiques Intenses, Grenoble. National High Field Magnet Laboratory, USA.